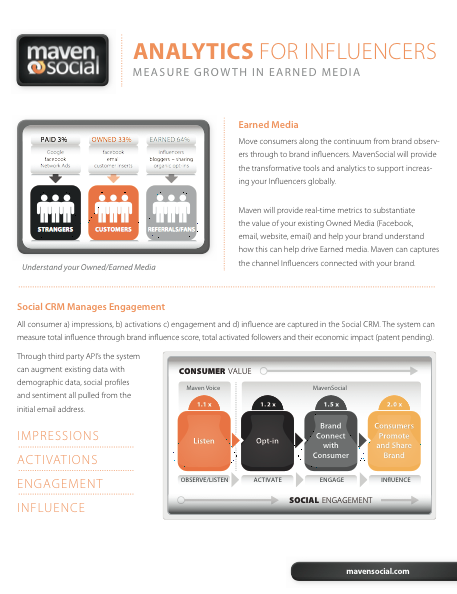 Analytics for Influencers: Measure Growth for Earned Media. 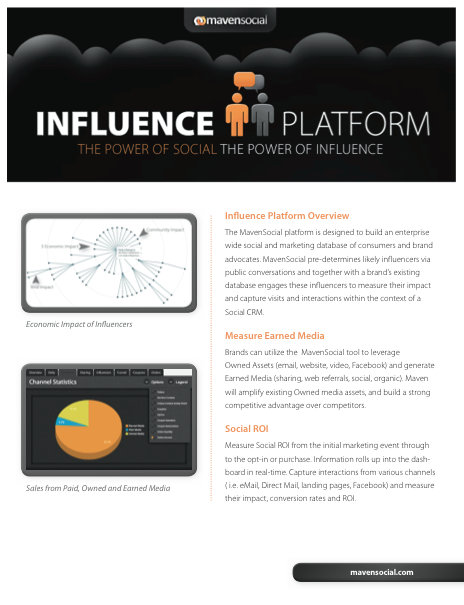 Throughout the document we discuss how MavenSocial can identify your brand’s social media influencers, while increasing engagement, increasing your company’s earned media, social ROI, as well as the importance of social CRM for your company. It’s about driving real results for your company, while providing deep insights into who your customers are, and which ones actually influence brand perception!